Find the effective thermal conductivity of heat pipes as an input to CFD modeling software. Understand how angle affects the maximum power handling capacity (Qmax) of various heat pipe sizes. 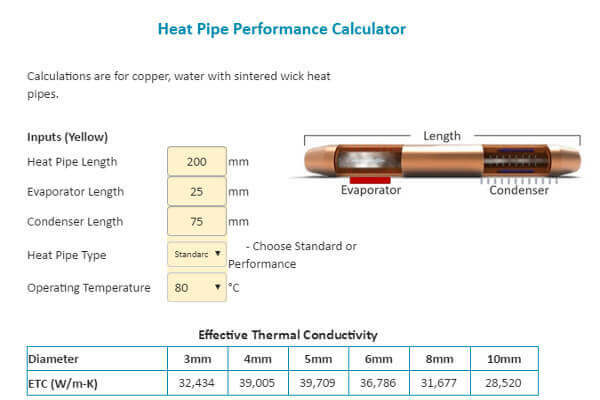 Select possible heat pipe alternatives based on their delta-T at various input powers. 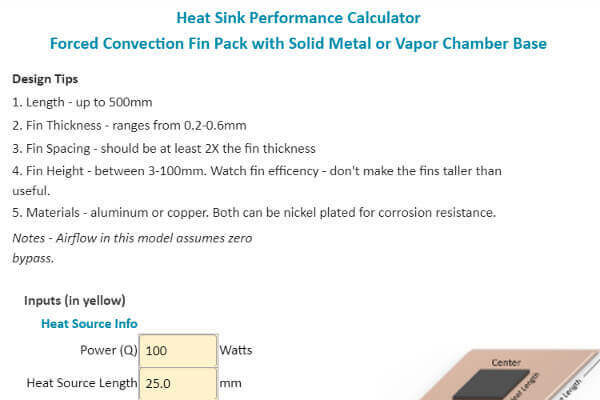 Model the fin efficiency and delta-T of a fin pack heat sink by changing fin material, thickness and gap. Understand if a vapor chamber base should be considered over an aluminum or copper base. Ensure that full heat sink delta-T is less than your thermal budget. 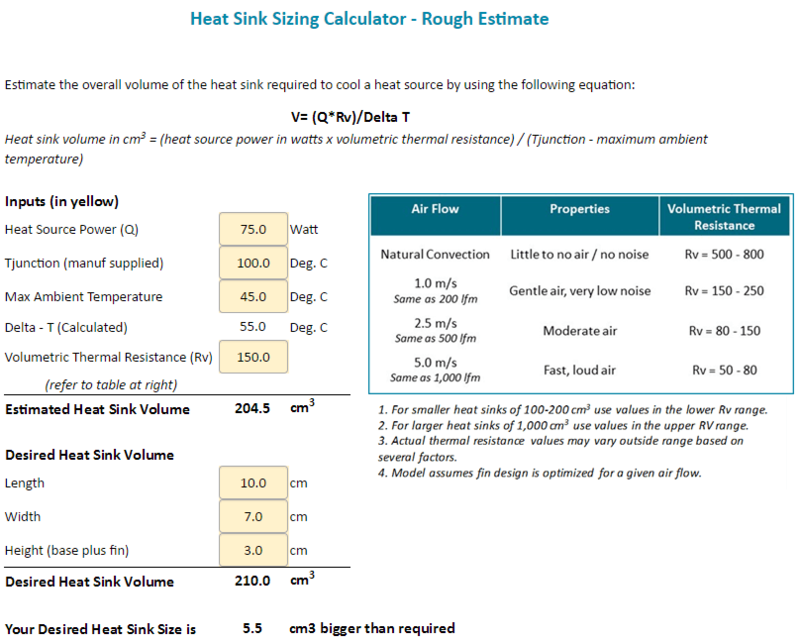 Estimate heat sink volume during the early stages of heat sink design. Compare these estimates to desired heat sink dimensions.